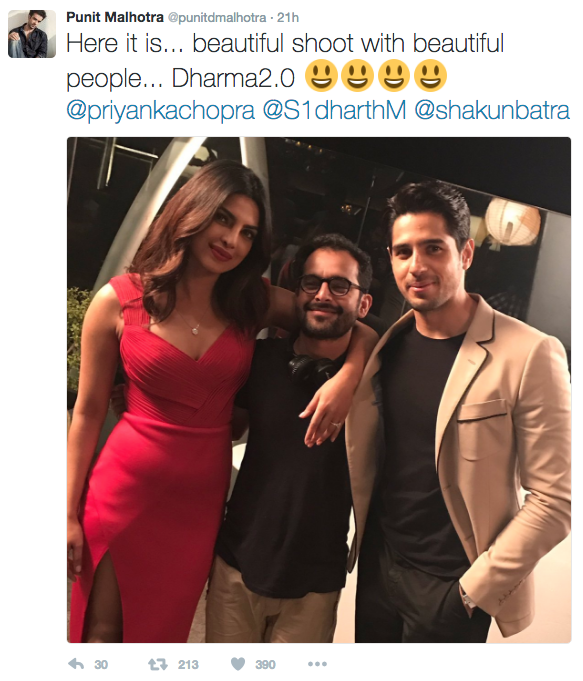 Home BOLLYWOOD What Are Priyanka Chopra And Sidharth Malhotra Doing Together? Karan Johar, who is seen experimenting with his work, be it a director or a producer, a dance show judge or a TV show host, has now got into ad films and exploring new dimensions of the industry. He seems to be a multi-talented personality. Well! it is this year that Karan Johar took into advertising film industry with Dharma 2.0 and the banner as we know is already travelling safe with some amazing work and journey. With something really exciting to us and the fans, Karan has come up with a new star pair for a new project. The ad film stars Priyanka Chopra in and has an unexpected face opposite her. Let’s see who it is. 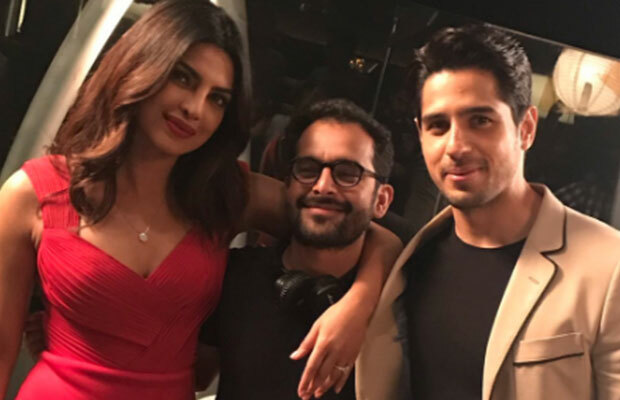 The new ad film stars Priyanka Chopra and Siddharth Malhotra who was launched by Karan Johar himself in his film, Student Of The Year and that seems to be very exciting for the fans of both the stars. Having seen many unexpected pairs this year like Siddharth Malhotra and Katrina Kaif in Baar Baar Dekho and Aditya Roy Kapur and Katrina Kaif in Fitoor, it’s gonna be really exciting to have this fresh pair of Priyanka Chopra and Siddharth on the ad screen then by the filmmaker. Previous articleBox Office: Could Aamir Khan’s Dangal BEAT Salman Khan’s Sultan In Overseas Collection?